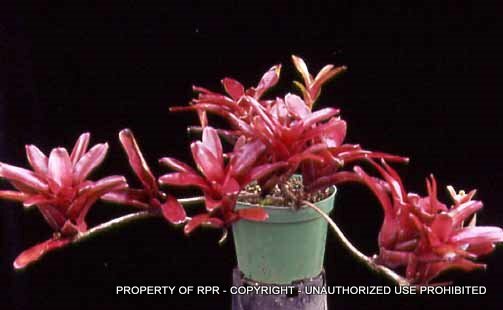 Neoregelia 'Fireball' is a dwarf that is about 5" in diameter and can take full summer sun and remains a bright red. In shade it reverts to green. It can be over wintered as a house plant. It branches nicely and the photo is of a 6" pot.